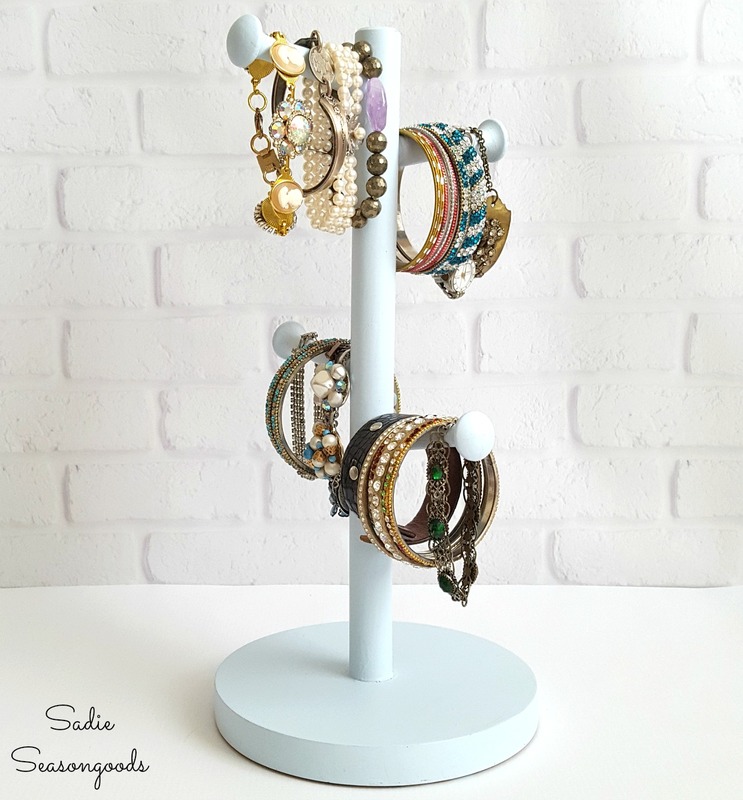 So, yes, here I go with another way to display and organize jewelry. But I was so excited by this one that I just couldn’t help myself. 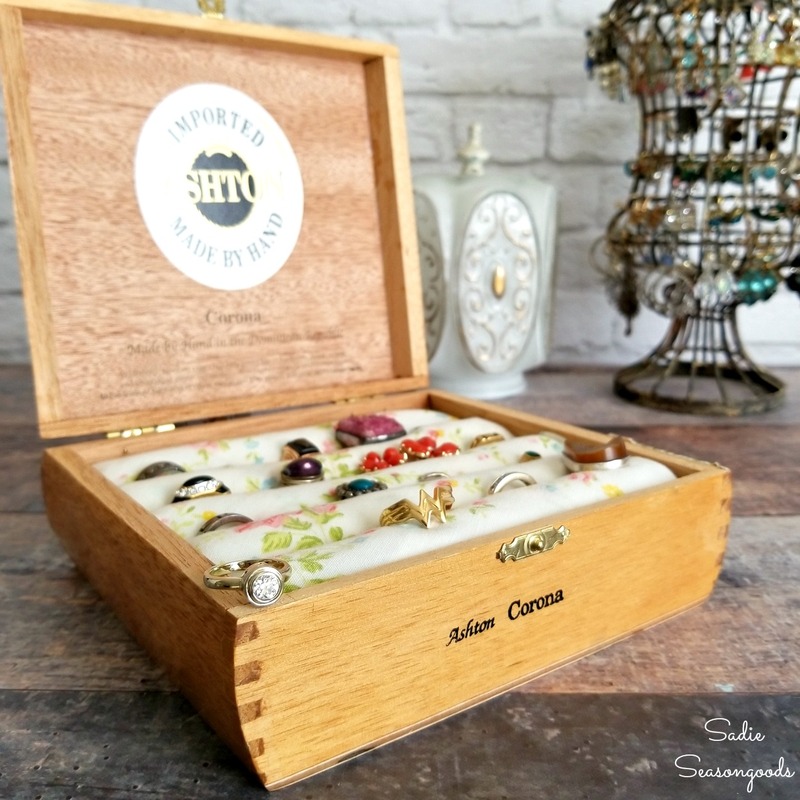 See, I’ve made a LOT of different jewelry holders over the years…but they’ve all been a little quirky- in a fun way! From spools, to cigar boxes, to coffee mug trees and balls of twine…they’ve been colorful and funky.